2. [feature story] Tourism Package ??Tracing ? ?Small Heaven?? in Surabaya?? The 29th TPO Executive Committee Meeting was successfully held from 14 to 17 of November. The meeting was attended by seven representatives from the Executive Committee member cities including Guangzhou (China), Busan (Korea), Fukuoka (Japan), Ho Chi Minh (Vietnam), Ipoh (Malaysia), Tongyeong (Korea) and Jeonju (Korea). The main meeting held on the 16th kicked off with a report on the TPO activities by Secretary-General Shin Yeon Sung. This Executive Committee Meeting decided 5agendas about the operation of TPO. Firstly, new memberships of 3 city governments and 2 business members were approved. City governments are Jung-gu district of Daegu Metropolitan City(Korea), Liupanshui City(China), and Bitung City(Indonesia). Business and Industry members are Wolseong E&C(Korea) and Hainan Gaoli Holiday travel Service Co., Ltd.(China). The committee also approved other agendas: ? ?Adjustment to the 2016 Budget Plan,?? ? ?Activity plan and the budget plan for 2017,?? ? ?Amendments to the Regulations for the Operation of the TPO Secretariat.?? To audit the TPO Secretariat, the committee appointed Ho Chi Minh City as the auditor. 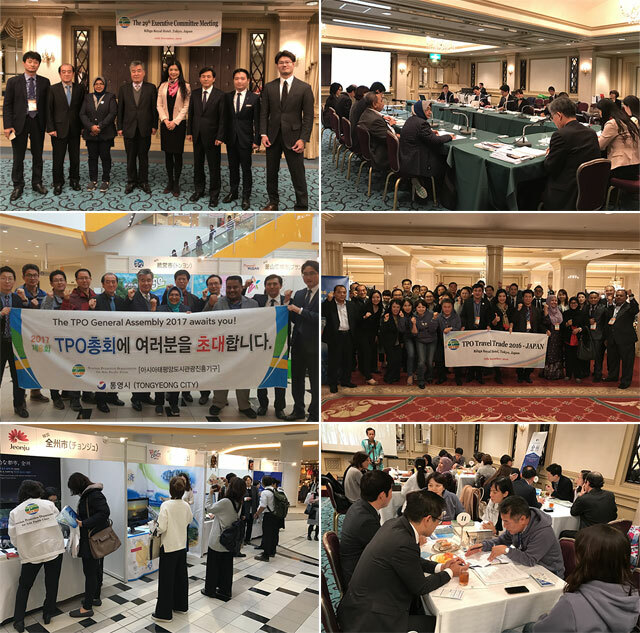 At the same time, TPO Tourism Exhibition and TPO Tourism Business Consultation were held as a part TPO Travel Trade (TTT) 2016 – Japan, which were attended by 73 representatives from 16 member cities. The representatives were busy promoting their tourism resources with a brochure or leaflet to attract Japan tourists at LaLaport Tokyo-Bay. The business consultation held at Righa Royal hotel was greatly successful with the 35 representatives from 28 outbound travel agencies and medias based in Japan. One representative from an agency said, ??It? ?s a good chance for me to get information of attractive tourism destinations in this event.?? The participants had a good business talk each other and this event would surely be a platform for a tourism network. The attendees also had a chance to tour the tourist sites in Tokyo, experiencing Japanese culture and strengthening the ties with other representatives. Visiting Surabaya without having destination to go? Please take the time to visit Kampung Lawas Maspatih. There, you will find different face of Surabaya. In the middle of the crush of modernity in Surabaya, you seem to find "little paradise" featuring a sweet blend of old cultural and empowering environment. Kampung Lawas Maspatih is special. 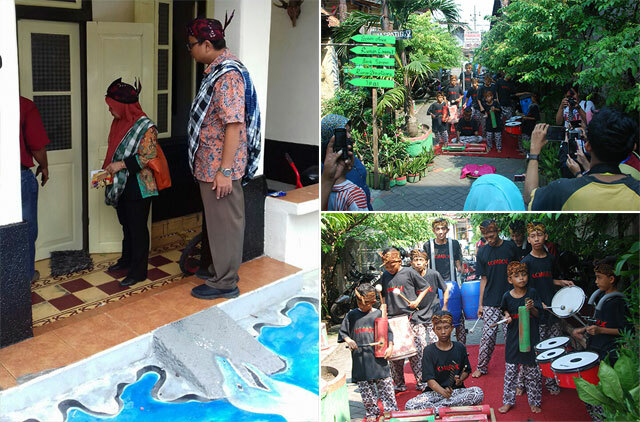 This village which was inaugurated as the Tourism Kampung in January 2016, portrays Surabaya colonial history. Some historical buildings are still original, intact (not refurbished), and preserved as the main attraction. Among those are the house which was once the former residence of Raden Sumomiharjo (a descendant of Solo Kingdom who became a nurse in that village), the School of Ongko Loro (Number Two School), the name of elementary school with 3 years of academic year, and the army headquarters building built in 1907. There are also the tombs of husband and wife, Raden Karyo Sentono and Mbah Buyut Suruh who were the grandparents of Joko Berek or Sawunggaling, a great hero in Surabaya. 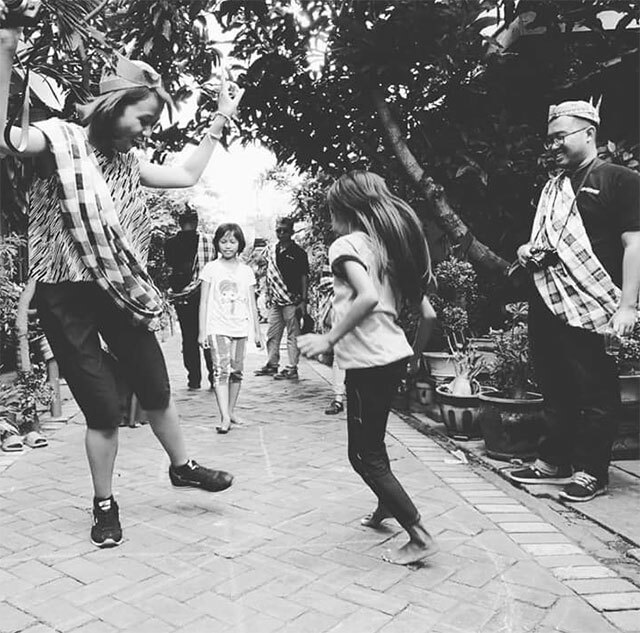 The attraction of Kampung Lawas Maspatih is not only the heritage buildings, but also the charm of an environment village. The Residents has successfully blended the heritage buildings with a portrait of the contemporary village by some achievements in environmental management and development of creative economy. A total of 350 families from six Neighbourhoods (RT) of Hamlet VIII in Kampung Lawas Maspatih, has several times won the Green and Clean Contest. Recently, the residents in Hamlet VIII have a tour package "Green and Heritage" offered to the guests. The tour package is scheduled on Saturday and Sunday. The tour package begins with a welcome drink processed by the residents to the guests. 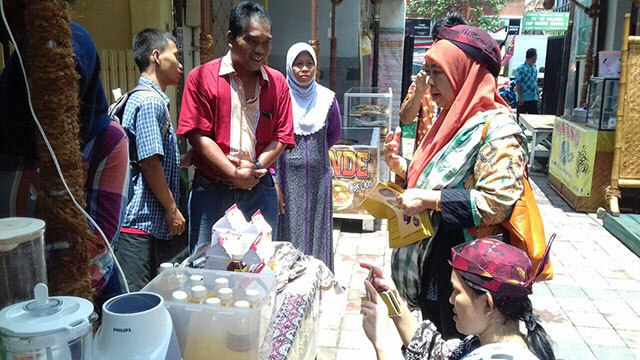 Each Neighbourhood of Hamlet VIII of Maspatih urban village has developed the cultivation of cincau (grass jelly), lidah buaya (aloe vera), jahe (ginger), belimbing (star fruit), and markisa (passion fruit). It is the first area of ​​the tour package. After the first area, the guests are invited into the area II. The theme offered is Green. The residents present the achievements of Hamlet VIII and show the photographs and plaques of appreciation. Then, in the third area which is a production house, the guests are shown how to process the crop into fresh drinks. Interestingly, the guests are welcome to make drinks by them selves. 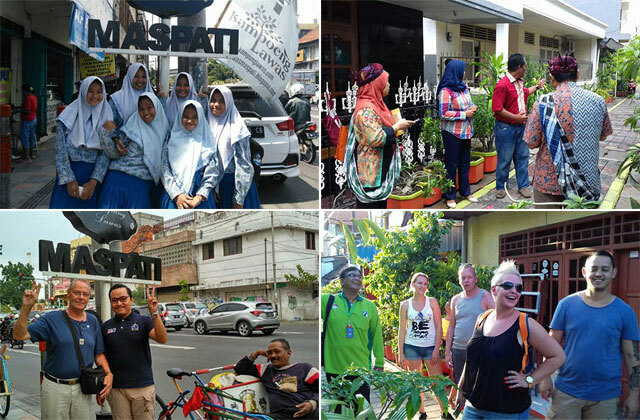 Furthermore, the guests were taken to historical area to trace some heritage buildings in Kampung Maspatih. There is also traditional game participation, such as teklek and dakon. The guests can play with the residents. The residents have made a map of tracing the village starting from the entry point at Jalan Semarang and the exit at Jalan Bubutan,near Hero Monument. The visitors can trace the alleys in the village on foot. There are four people who are ready to become tour guides. The Guangdong Qingyuan (Fogang) International Hot Spring Tourism Festival 2016 will be held from November 29, 2016 until January 3, 2017 at Xilegu Hotspring Resort in Fogang, Qingyuan, Guangdong. 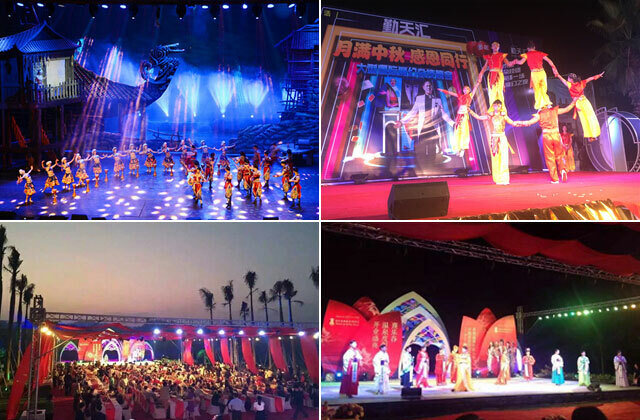 The festival is mainly divided into three types of events and activities: hot springs culture, gastronomy, and entertainment and tourism marketing. These three major themes will jointly contribute to the promotion of the hot springs of Fogang, Qingyuan and related tourist products. The hot springs culture, in particular, will be introduced based on the historical and cultural significance of Fogang hot springs. The gastronomy and entertainment activities will involve discovery of unique local dishes for a thematic food festival to be held from Monday to Sunday every week, and at the same time, local folk performances will be presented. The festival will give visitors a great pleasure of enjoying hot spring and tasting delicious food. On the other hand, the tourism marketing program will promote the Hot Spring Tourism Festival through the various media and exhibit the related tourism products and the local goods produced by the residents. Gimhae Gaya Theme Park will be hosting a winter festival, ? ?Winter Vacation with Snow Sled?? from December 1st to February 28th 2017. Visitors will be excited in this winter festival held in time for the Christmas season and New Year. Various Christmas events and year-end concert are ready to welcome you to join and many fun shows and performances for family visitors have been lined up. In particular, Sledding Slope and Snow Games are not common pleasure to experience in the warm regions like Busan and Gyeongnam Province. The Gaya Theme Park is preparing a Hot Zone for visitors to take a warm rest in the area. On the coming New Year? ?s Day, there will be the sunrise event which is taking place in a Royal Place unique in the country. Various performances and Rice Cake Soup (tteokguk) sharing event have been prepared from 6 AM to 8AM in the square in front of Gaya Palace to welcome the sunrise of the New Year. Moreover, visitors can get a chance to write a Postcard of Hope carrying the messages of gratitude and love for families and lovers. A marathon unique to Kaohsiung organized and hosted by Taiwan All Sports Association will take place on December 3, 2016. There is even a 5km race for beginners that families with young children and even seniors can participate in. It aims to bring families together and to turn Kaohsiung into a city of sports that is wonderful to live in. The annual Grand Kaohsiung City Run will take place at the National Stadium in Kaohsiung this winter. With scarlet as the thematic color, it will symbolize health, sunshine and the energy of the southern region of Taiwan. Images of the National Stadium and a turntable have been combined perfectly, so that the participants will seem like musical notes produced by the turntable, each contributing to a beautiful song, and it will also give off a sense of rhythm that is just as dynamic as the city itself. As for the main visual design, it symbolizes the famous landmarks of Kaohsiung as well as the subway and light rail. The Grand Kaohsiung City Run is a well-known sporting event for citizens living in the southern region of Taiwan. Those who love sports and basking in the sun even in wintertime are welcome to join in on this special race! 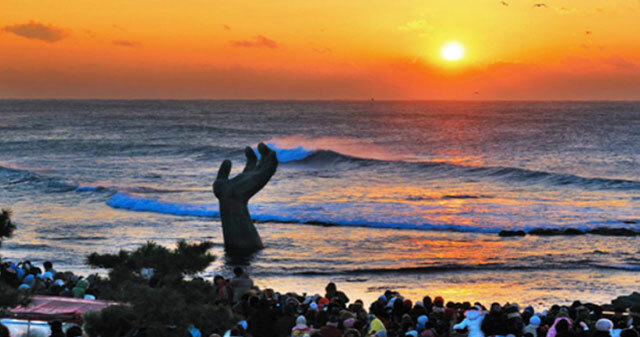 The 19th Homigot Sunrise Festival will take place in Homigot, Pohang, which is famous for an extraordinary view of the sunrise in Korea. The Sunrise Festival attracts a host of visitors to the 3.03ha Sunrise Square as well as the Sunrise Tower, exhibition hall, aquarium and other facilities. The New Year? ?s Eve ceremony will kick off the event on December 31, which will be followed by a wide range of performances and events including the pungmul street play, gugak (traditional Korean music performance), magic fireworks show, Homigot Party Time, sunrise event, and sharing 10,000 bowls of tteokguk (rice cake soup). Also, visitors will get to write down their wishes on paper and send them off on a balloon as a way to reflect on the past year and begin the New Year with a new hope and expectation. Kokura Illumination, which is held annually in time for the winter holiday season, is in its 16th anniversary this year. It will be held from 4th November , 2016 to 9th January, 2017 around the JR Kokura Station and Murasakigawa River. It registered its name in the list of night view heritage of Japan. What the visitors should not miss out on includes the multimedia tunnel where a video featuring UNESCO World Heritage sites is projected, a fantastic tunnel that is reminiscent of the Wisteria Tunnel of the Kawachi Wisteria Garden, which was selected as one of the top 10 most scenic sites in the world several years ago, and the Falling Illumination depicting a waterfall flowing into the Murasakigawa River. All of the lights are turned on from 5 p.m. until 10 p.m. every evening. At the Kokura Illumination, the fantastic, yet delicate lights illuminate the streets of Kokura. 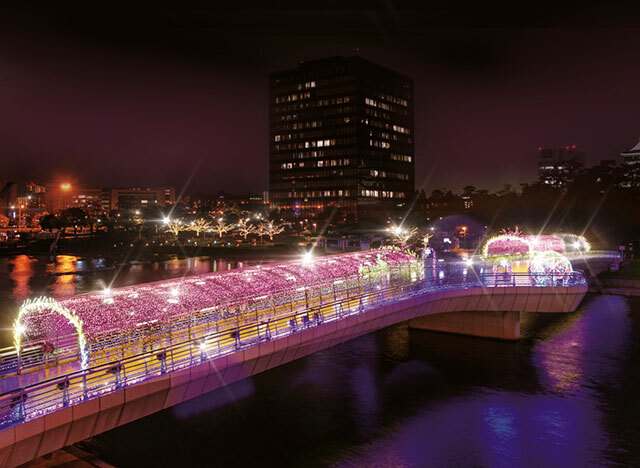 The colorful lights and objets will present a breathtaking sight around the streets near JR Kokura Station and Murasakigawa River. Especially the eco-friendly illuminations, which were made by the students and the local communities of the Kitakyushu with waste resources, and the warm heart of the citizens of Kitakyushu will brighten the environmentally-conscious city of the future. TPO E-Newsletter aims at promoting member cities’ tourism industry. We look forward to receiving the latest tourism news in our member cities. Just feel free to send us the tourism information on your city. Copyright (C)Tourism Promotion Organization for Asia Pacific Cities all rights reserved.